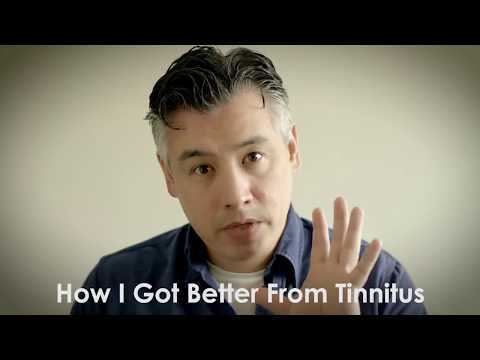 Does Tinnitus Really Ever Go Away? Discussion in 'Support' started by Carlos1, Feb 13, 2014. Once you had T for 6 months or more does it really ever go away? The people that are so call cured of T after that amout of time is it more the case that they embraced it and habituated and now the perception of T is no longer bothersome? I just need to stop thinking that my T will somehow magically disappear and just accept it ....and of course that isn't a easy task and it requires family and friend support. Habituation to me means your mind needs to be distracted away from T most of the time in order to habituate. It is possible but it's very unlikely. But checl out [Section: research news ], promising treatments exist, they just need more trials and approval. Actually in around 25% of cases it goes away itsself. Im pretty sure that these are not the people sitting in support forums You have to choose the best way to think for you. For me it helps whn I think that it wont leave, but I can live with it. I know someone who said she had ringing/ a whooshing noise in her ears for months after a cold - but it went away I think we have to try and remain positive. Even if T had stuck around for years, there is still a chance (even if it's slim) that it can go. My T was brought on by a horrible Benzo C/T. At first it tortured me every day 24/7. It now can give me as much as two days of peace. I'm holding on to the hope that two days will very gradually turn to 3 then 4 and so on. Habutuation is behavioral as well as physiological. Everything you do to distract yourself and not focus on the tinnitus helps you habituate. Everything you do that focuses your attention on your tinnitus makes it harder to habituate - these activities include being on this forum!! It never bothers you when you are asleep !! No.....it demonstrates that the brain can ignore tinnitus for hours at a time and should help people realize that relaxation and reducing dtress will assist in habituation. Unfortunately I havent got the link ( i have googled it A LOT and have no bookmarks). Logically it also depends a lot on the statistics as well (eg. who have been in the studies). However for example I have friends' father who also had tinnitus from repeated loud noise (he loves rock and roll). He had it for several months (around 4 months he said) and it left on its own for no reason. I also asked him for some tips and as it turns out, he never addressed the problem and didnt even know it was tinnitus, so unfortunately he had no tips to give me. Of course this is a "case study" but I suppose if there are cases like that it means that it could go away. Yeah and that's the thing, I wonder how many dont weight any in the statistics we rely on. A friend of mine had Tinnitus for about 8 months I think - he had problems with blood pressure + stress, and it stopped. Also, my mother was convincing me she had T as well (even though I think she was just trying to soothe me) - caused by stress of losing a parent. Lasted for a month (35 days) and stopped. But considering the stress was the trigger, I guess it can stop (if you recover mentally etc).. I personally know someone who had it for 7 months,and then it cleared up on it's own. recovery is always possible, there are people out there who had it for years,then it just went away. Dude don’t listen to any of these negative comments. It goes away. This thread is four years old. And no, tinnitus unfortunately does not always go away. The thread author is still active here, as well as some of the other posters. Though, I will say the positivity in the video was nice. I believe this method of allowing yourself to hear tinnitus and not panic is similar to a method advocated by a member in the success section. The brain absolutely plays a critical part in tinnitus. However, for some of us hearing loss does, too, and that complicates how and if we can get better. But please keep the positivity going, we could use it around here. Objective or Subjective Pulsatile Tinnitus — What Difference Does It Really Make? Does Anyone Else Get a Really Loud Sound in a Different Pitch When They Focus on Their Tinnitus?